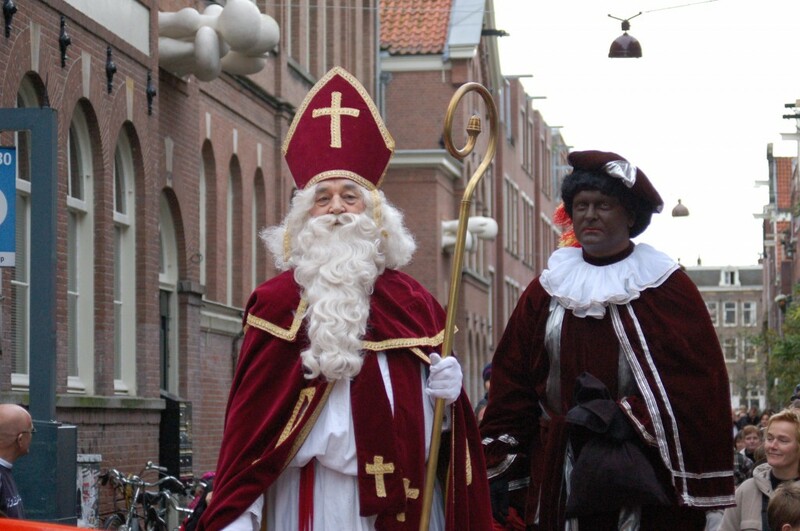 Every holiday season, hundreds of Dutch citizens dress up as Sinterklaas’ helpers by blackening their faces, reddening their lips, donning afro wigs, and wearing bright, colorful costumes with gold “creole” earrings. Scores of people living in the Netherlands, particularly those of African descent, are speaking out against the imagery and stereotypes associated with and promoted by the Zwarte Piet tradition. Other folks hold on to the idea of Sinterklaas and Zwarte Piet celebrations as harmless, playful fun for Dutch adults and children alike. So what gives? Is the tradition is racist or not? Black Pete, Zwarte Piet: The Documentary explores both sides of the Sinterklaas/Zwarte Piet blackface tradition – and everything in between. Who seeks to change the tradition? Who seeks to maintain it? And why? The film features interviews of Dutch citizens, historians, scholars, activists, artists, and members of the general community. The film also explores the representation of Black people and the Black body in Dutch popular culture and how these images affect the lives of people of African descent on a day-to-day basis.